If you are a Chrome user and regularly use awesome Google services like Gmail, Calendar, Contacts, Drive, Bookmarks, Google Plus, Photos, YouTube, Maps, Play, News, Finance etc., then this tip is for you. Few days back I wrote an article on how to search Google Drive files easily from Chrome (and Firefox). As pointed out by one of my readers, this technique can be easily extended to almost any search service that queries things via the URL. 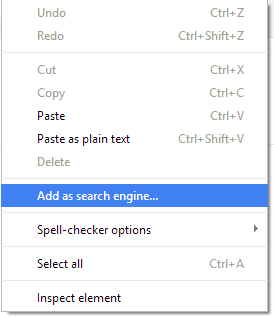 Another reader pointed out the easy way to add search engines to Chrome which is as below. 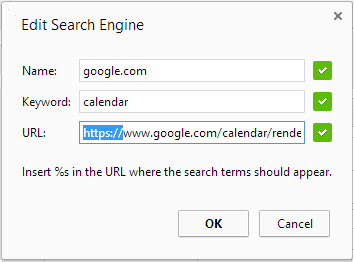 For some reason though, this does not work with Google Drive search box. Google Drive search box does not allow right click and that is why we have to add search engine for Google Drive separately. Although the above technique should work perfectly for some sites, sadly for Gmail or Google Contacts it does not work. The default URL populated is outdated and does not fetch results anymore. Below, I have listed correct URLs for the most useful Google services. I have added more to this useful collection from Brian Johnson.